A global futures exchange in the United States for the trading of futures contracts and options on futures contracts, often called derivatives. The Fool has written over 100 articles on CME Group. These two securities exchange operators have enjoyed quite the run lately. But which will win our race? Significant market volatility in the fourth quarter led CME Group to report the second highest average daily volume in its history. CME earnings call for the period ending December 31, 2018. These two big exchanges go head-to-head. Which one's the smarter pick? Here's how to decide which of these stocks is the best investment for you. 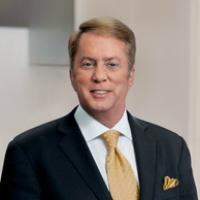 CME Group's reported a 22% increase in adjusted earnings per share in the third quarter, driven by modest growth and efficiency improvements. Is CME Group Inc. a Buy? The leading futures exchange offers investors a way to profit from uncertainty. But is its stock a good investment from this point forward? CME earnings call for the period ending September 30 ,2018. CME earnings call for the period ending March 31, 2018. Industry, sector and description for CME Group.